When commuting and keeping fit, you put yourself at risk… It doesn’t have to be that way! 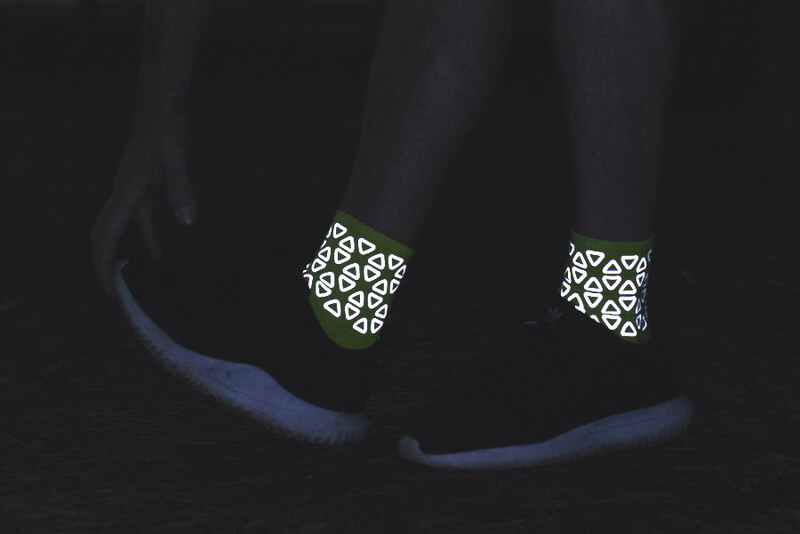 Motorist cannot fail to see hi visibility wearables – they’re on you, and they’re moving, triggering the attention of all that see. 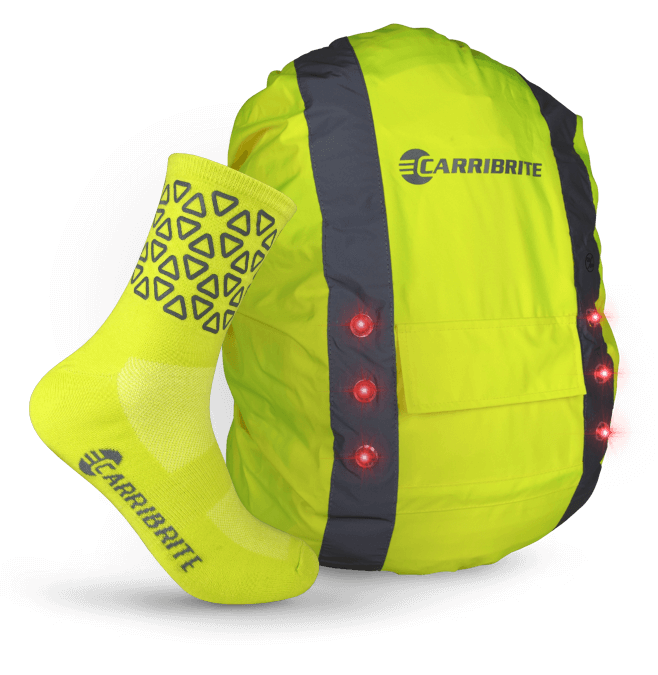 At Carribrite we’re creating a collection of new and unique ways of getting seen. 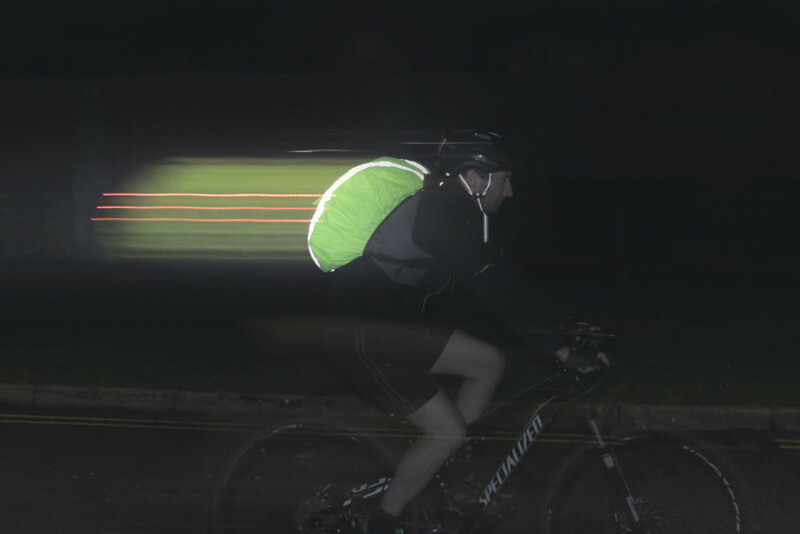 Really impressed with the Carribrite waterproof backpack cover, I use it daily on my commute to and from work – it demands the attention of drivers and other bike riders and makes me feel so much safer! I’ve owned a few bag covers in the past but the quality doesn’t come near to the standard of this cover, I’m expecting it to well outlast my past purchases! I have tried all the leading covers and this one wins easy, plus cheaper and you get the lights to REALLY get you seen! Very good cover. I walk the highlands of Scotland so this will be ideal. Excellent service from the seller. Great idea for back markers on ramblers walks in the hills and when the group has to walk on roads. Waterproof as well. Made of excellent quality. Highly recommend this! Sign-up to receive updates and offers!